The bronze charm compass rose is a good reminder to keep a sense of direction, especially in challenging days and years after a life event like graduation. 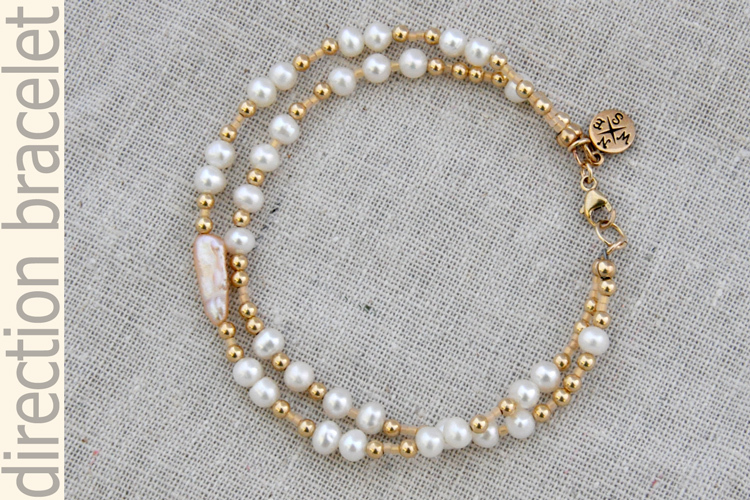 Freshwater pearls, 14kt gold-fill beads and 224t gold-lined glass seedbeads make for a warm, golden mix of good fortune and well-wishes. The larger, irregularly shaped pearl is called a biwa pearl, which now refers to pearls of larger, irregular shape but Biwa pearls used to refer to the large quantities of freshwater pearls farmed in Lake Biwa in Japan before water pollution shifted pearl production elsewhere in Japan and China. 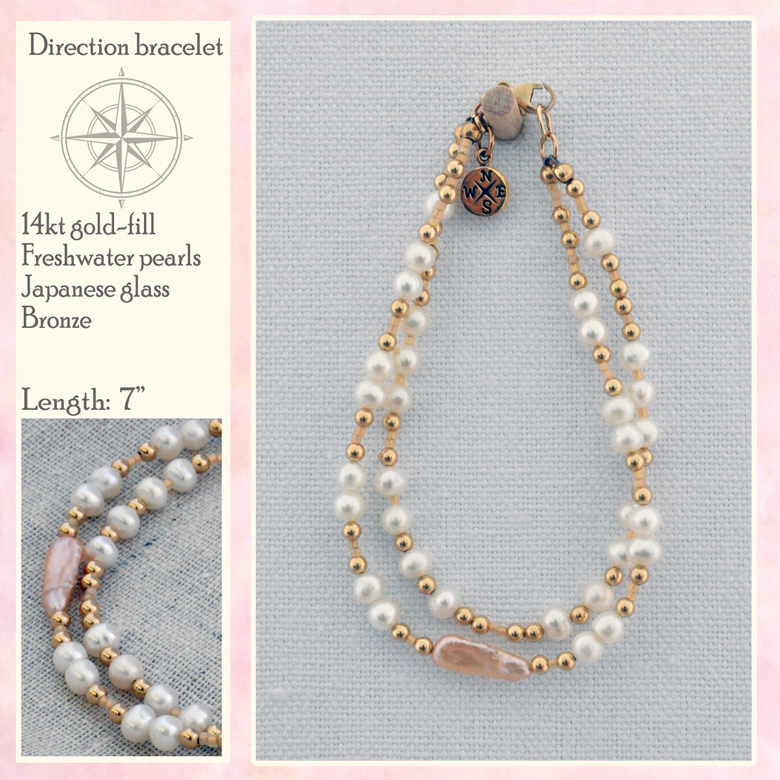 The strand with the biwa pearl is slightly longer than the other strand, and the 7" length refers to the shorter strand length. 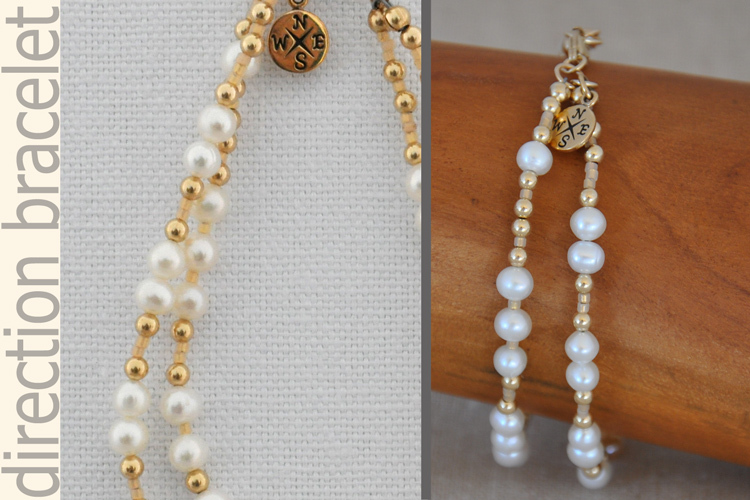 Both clasp with a 14kt gold-fill lobster clasp. The bronze charm may be pulled off the bracelet with determined tugging and these can be a choke hazard, so it's recommended to keep this out of reach. As with all beaded jewelry: do not let young toddlers chew on it. 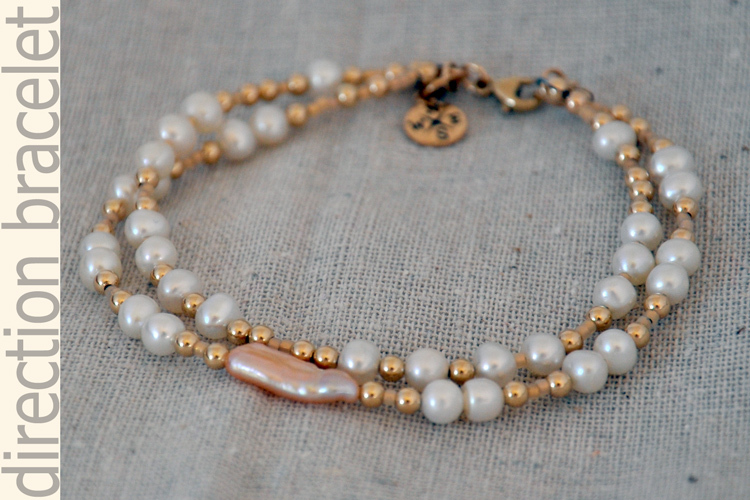 This double-strand 7" bracelet fits well on small to average size wrists and can be worn with a variety of styles.